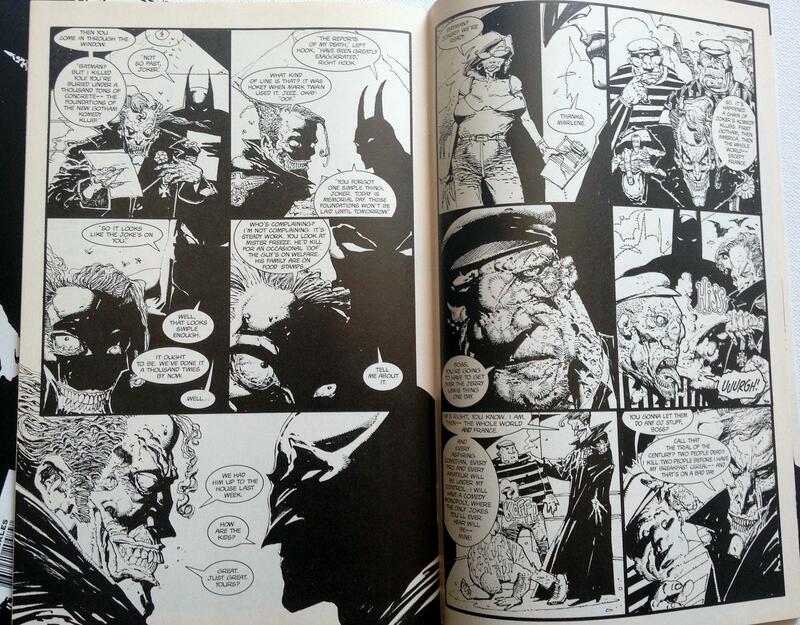 Today we flip through the wide assortment of art styles in Batman Black and White, a four-issue series from DC Comics in 1996. 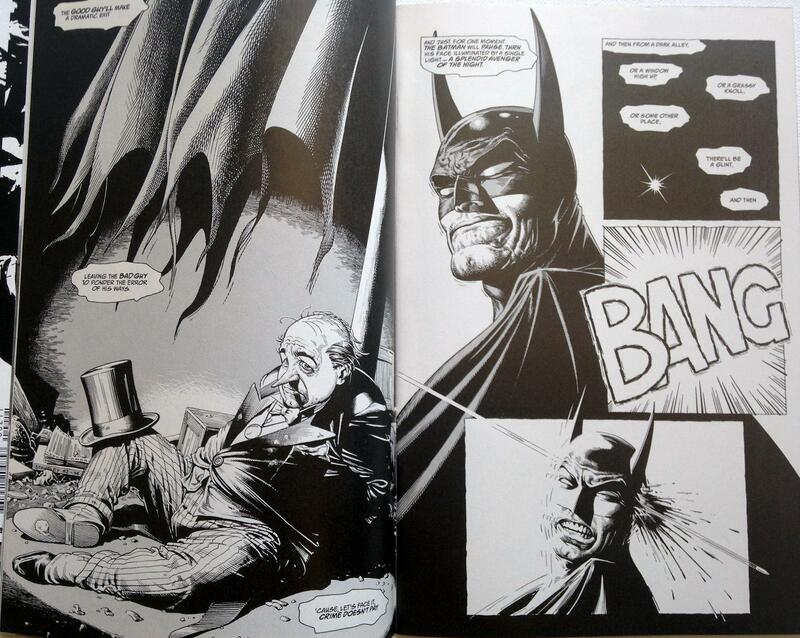 DC would later publish a series of four hardcover editions of Batman Black and White, collecting this 1996 series with two volumes of stories from Gotham Nights and a final volume of all-new material. 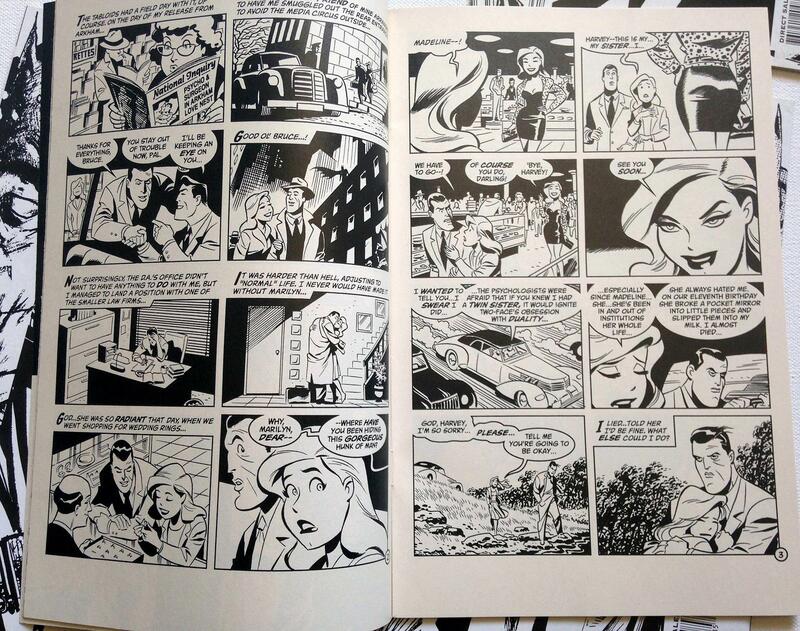 You can usually find that collection in trade paperback format at about half the price of the hardcovers. This series really knocked our socks off with so many inventive and beautifully-drawn takes on DC’s iconic detective adventurer. 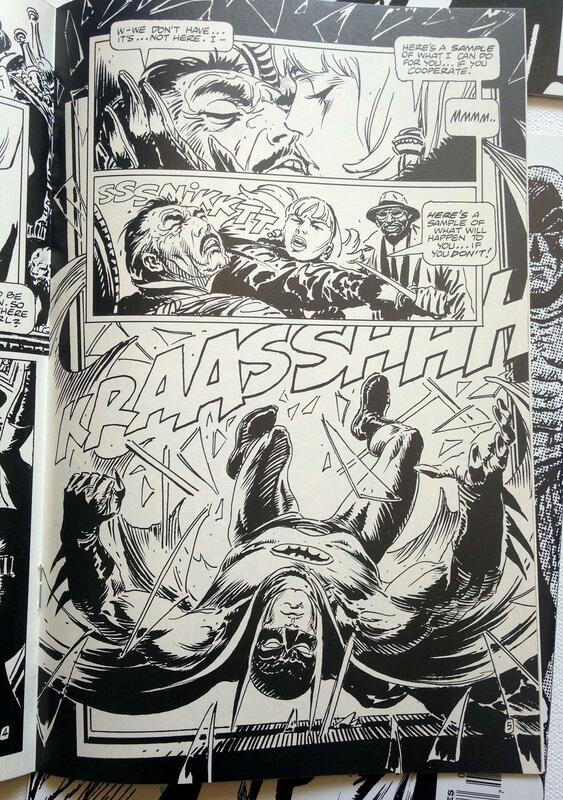 Joe Kubert’s classic approach rubs shoulders with Walt Simonson’s futuristic vision. 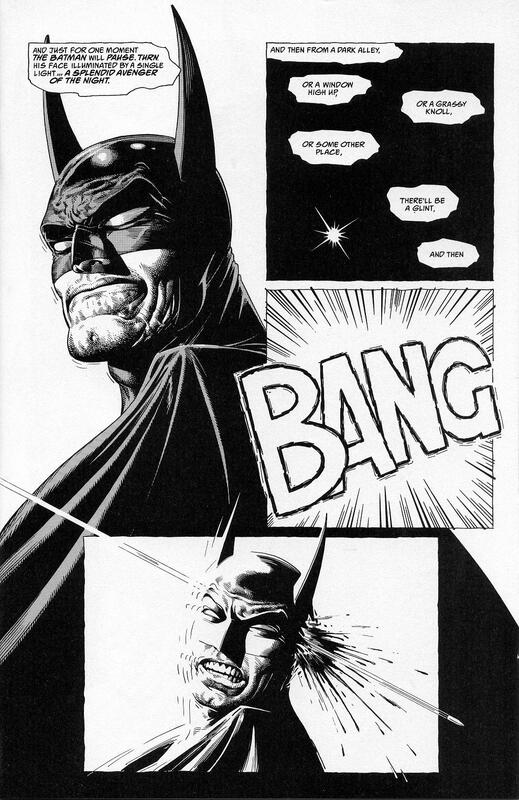 In one story, a man fantasizes about assassinating Batman. 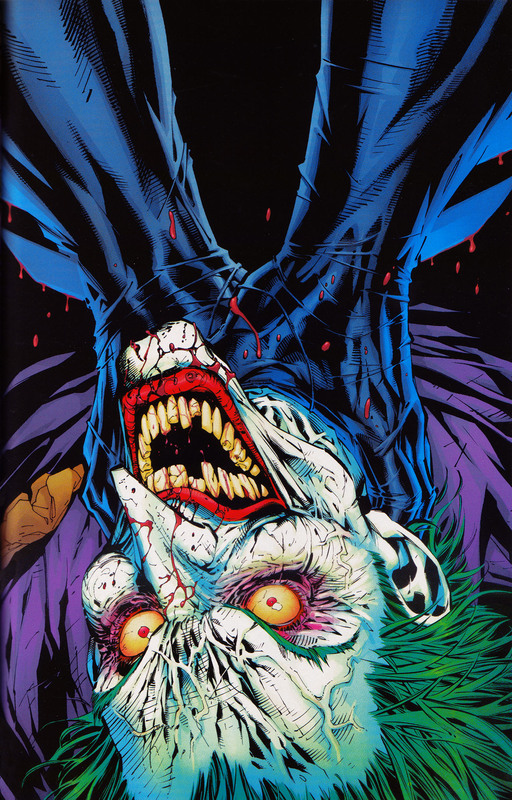 In another, Batman and Joker are depicted as two actors who discuss each other’s wife and kids between their “filmed” fight scenes. 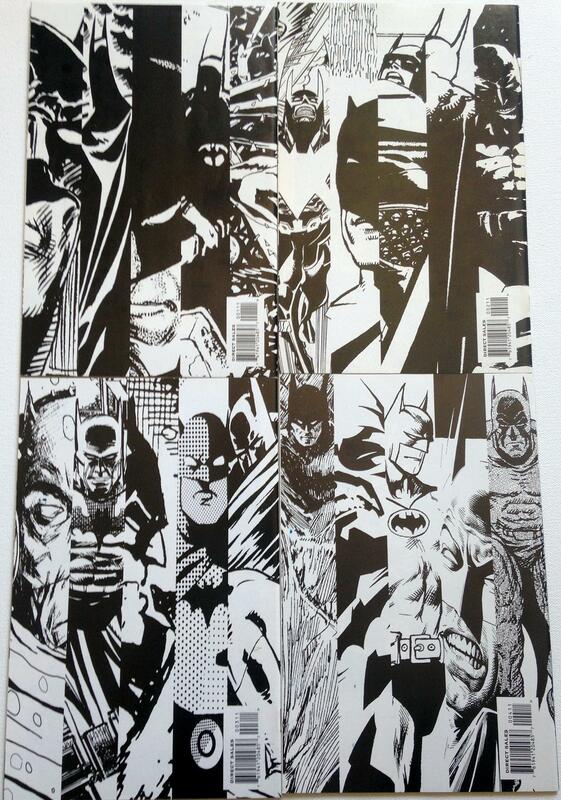 In no particular order, here is a sampling of the interior pages culled from pics we took to sell our set on eBay. This is one we would like to read again. 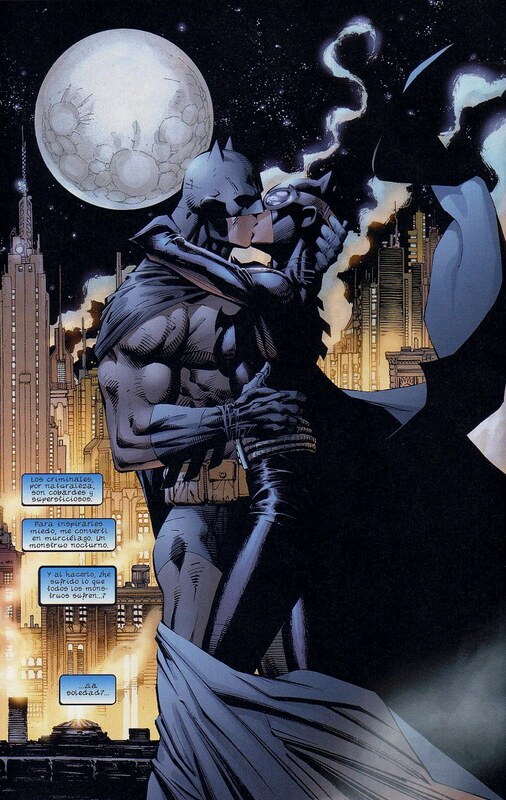 From Batman Hush. 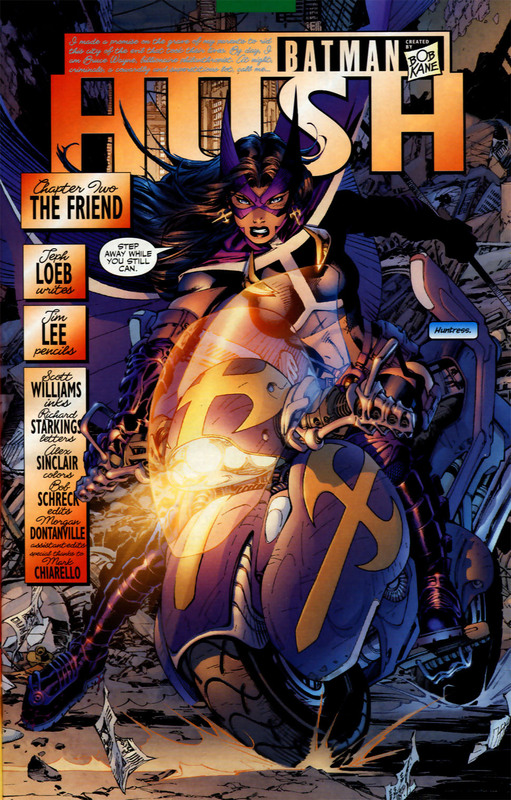 Story by Jeph Loeb; Pencils by Jim Lee, inks by Scott Williams. Colors by Alex Sinclair. 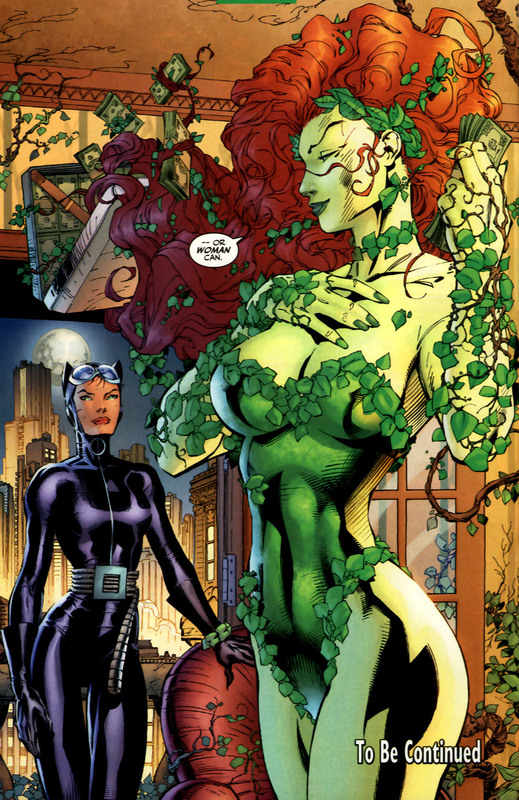 – Collected in the Batman Hush Complete Edition; 2009, DC Comics. 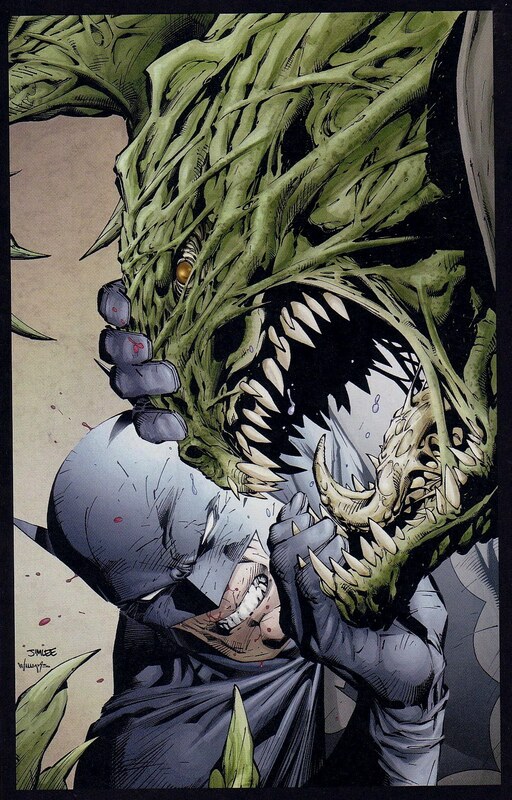 Gallery also includes images from All Star Batman and Robin the Boy Wonder. 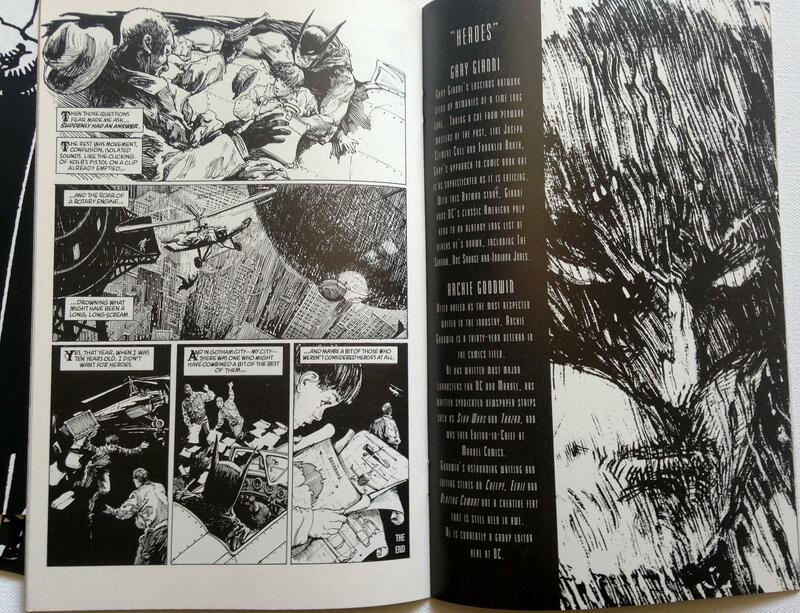 – Collected in All Star Batman Hardcover and Paperback. 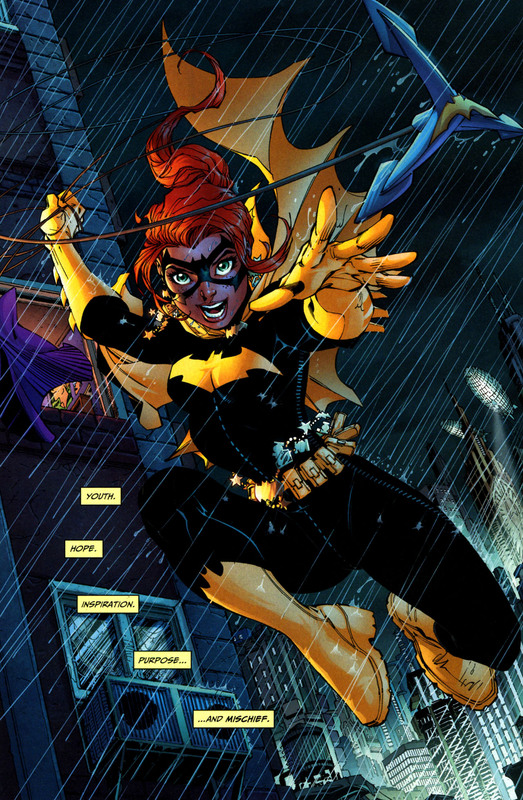 – From All Star Batman and Robin the Boy Wonder; DC Comics, 2005-2008. 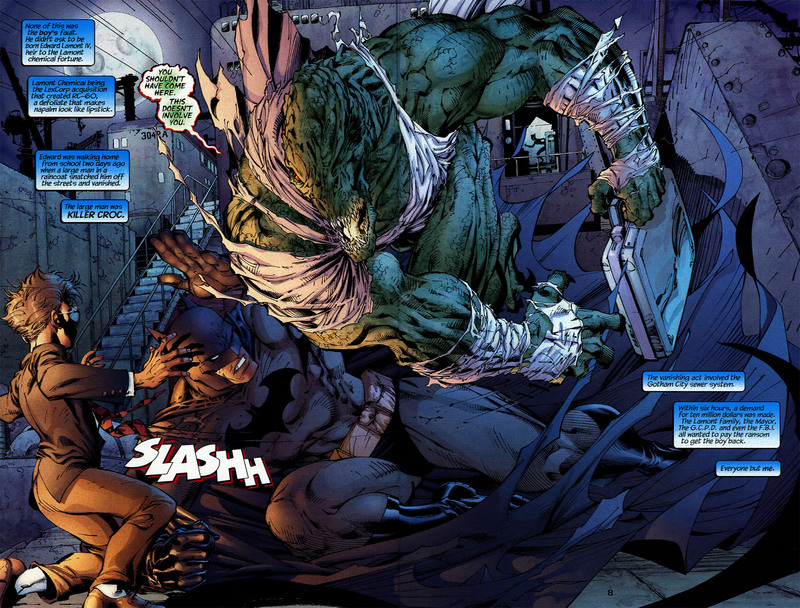 – #1-9 Collected in All Star Batman Hardcover and Paperback. 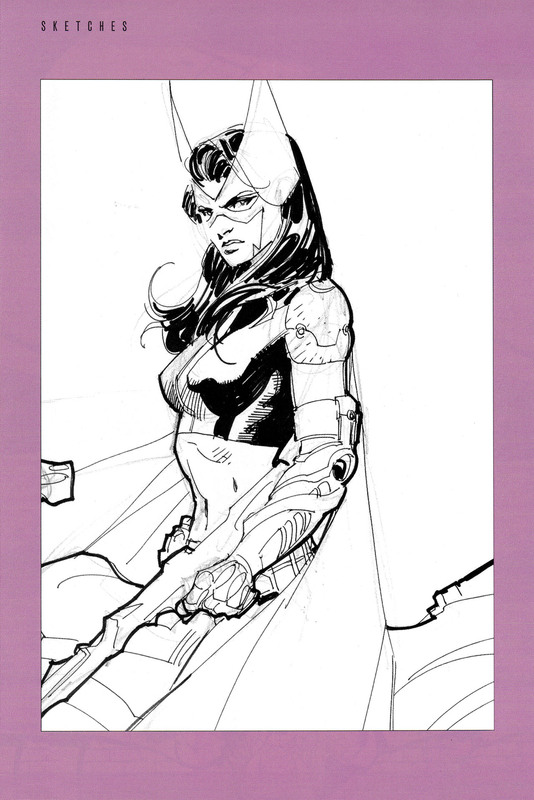 Pencils by Jim lee, inks by Scott Williams. Colors by Alex Sinclair. World’s Finest #147: The New Terrific Team! 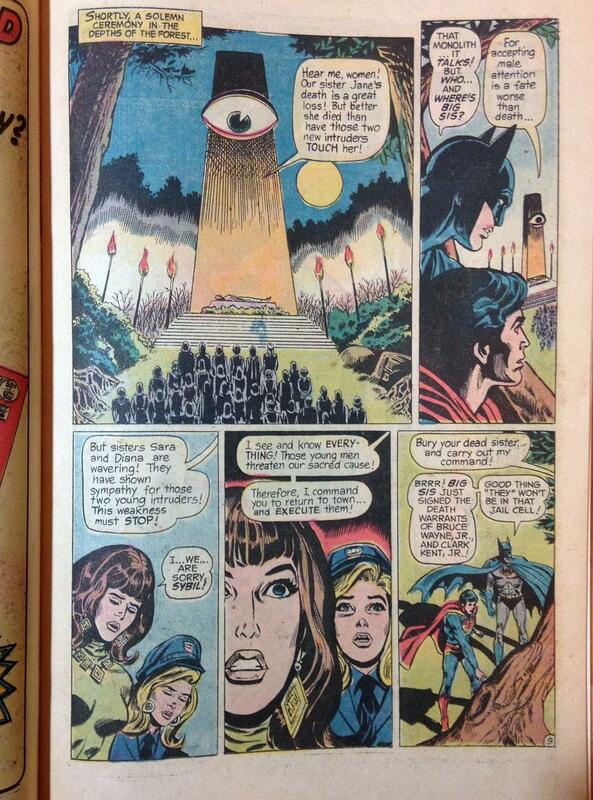 1965: You could call it the Wham Bam Thank You Ma’am age of comics. 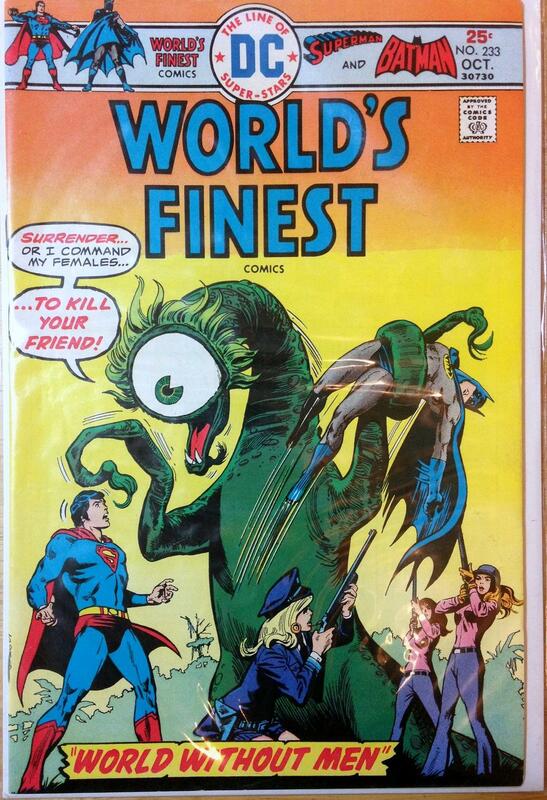 In the brief 16 pages of the cover story from World’s Finest #147, we experience: an exploding tower of rocket fuel, giant mutant eagles, a car wreck, an invasion by giant robotic water beetles, a trip to another planet, telepathic aliens, and one %@$#-ing insane science experiment. Whoa! No wonder we loved reading this as a kid. That, plus lots of youth rebellion. Yes! 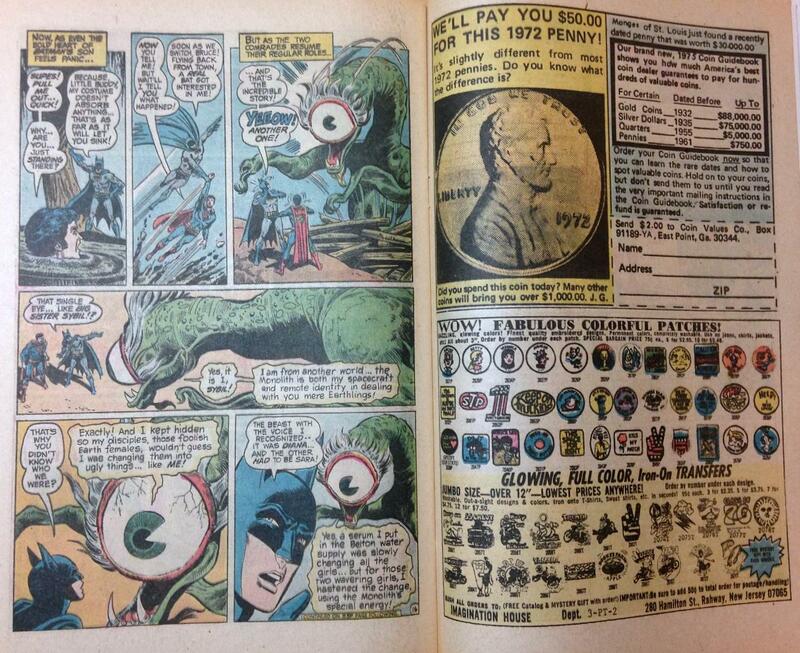 World’s Finest #147 was one of the treasures we discovered in Gramma’s garage of comic book utopia. It left a lasting impression on us. We share it with you today in all its rampaging Silver Age glory! 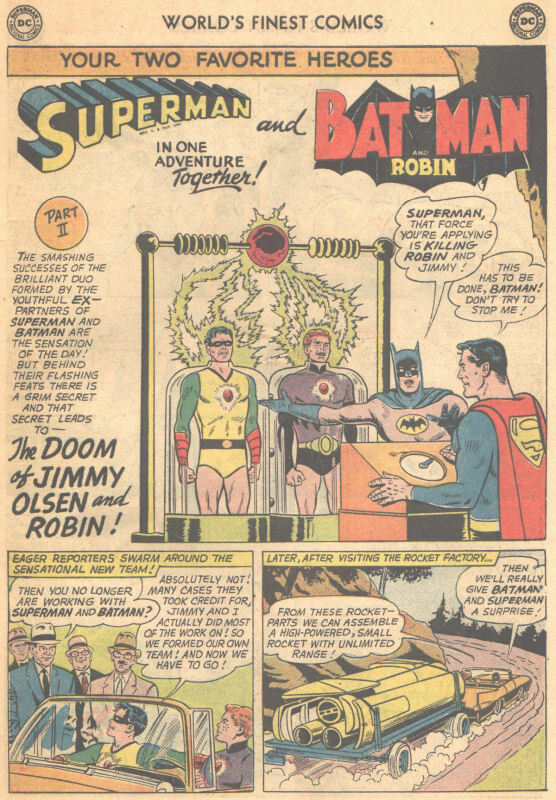 The story is called “The New Terrific Team!” Superman and Batman get put in their place when teenage sidekicks Robin and Jimmy Olsen decide to strike out on their own. But are the boys’ heroic deeds driven by a more sinister menace? Find out! – From World’s Finest #147; DC Comics, 1965. These Photos Prove that I, too, Came from the Planet Krypton! In World’s Finest #146, Batman takes part in ‘five minutes of silence’ observed by Superman and every other surviving Kryptonian on the anniversay of Krypton’s destruction. 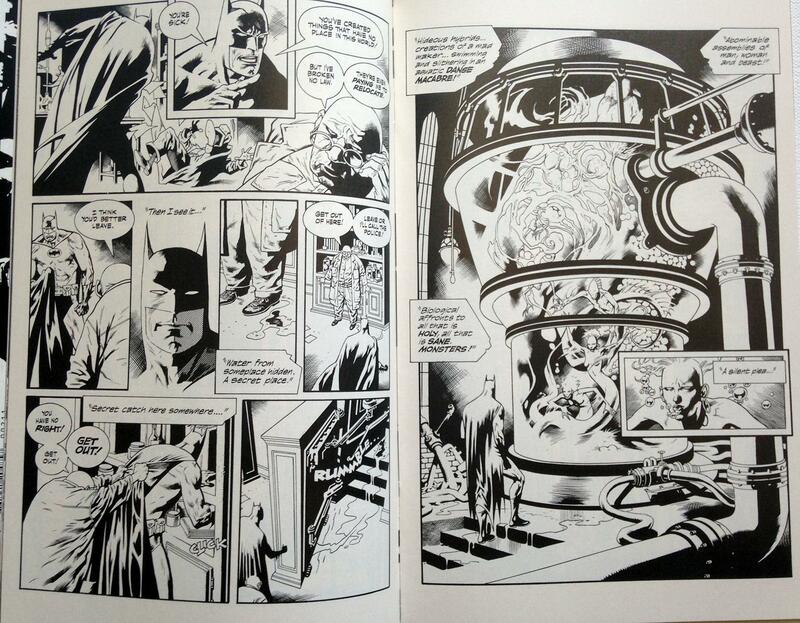 The silent ceremony triggers a memory in Batman – a memory he could not possibly have unless he, too, was from Krypton! 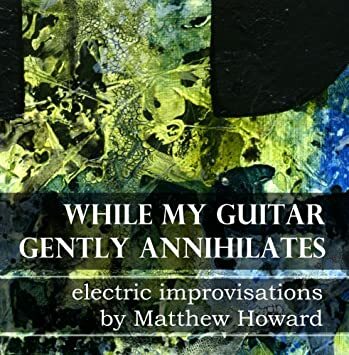 The ensuing drama and its resolution tug at our heart strings every time we read it. 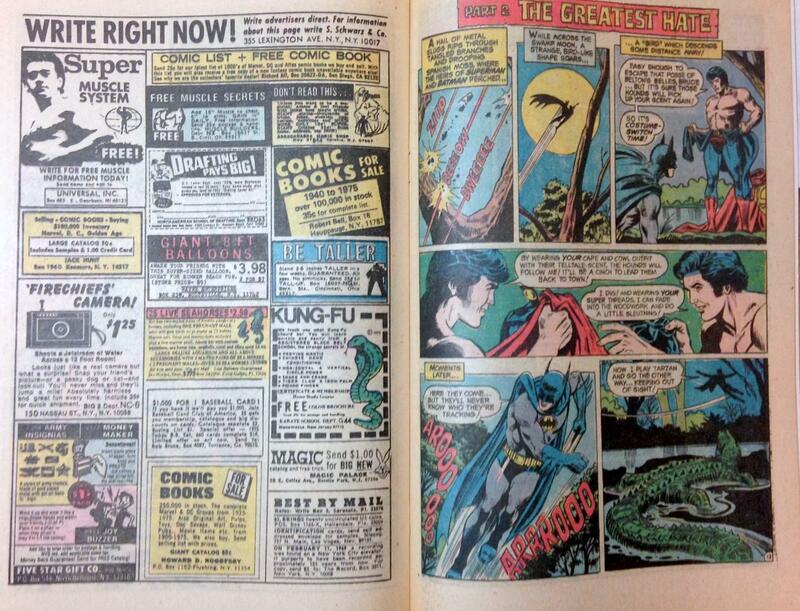 Every so often, our local comic shop puts some well-worn silver age comics in the $5 bargain box. “Affordable Silver Age” says the sign. Ok – we’ll bite! 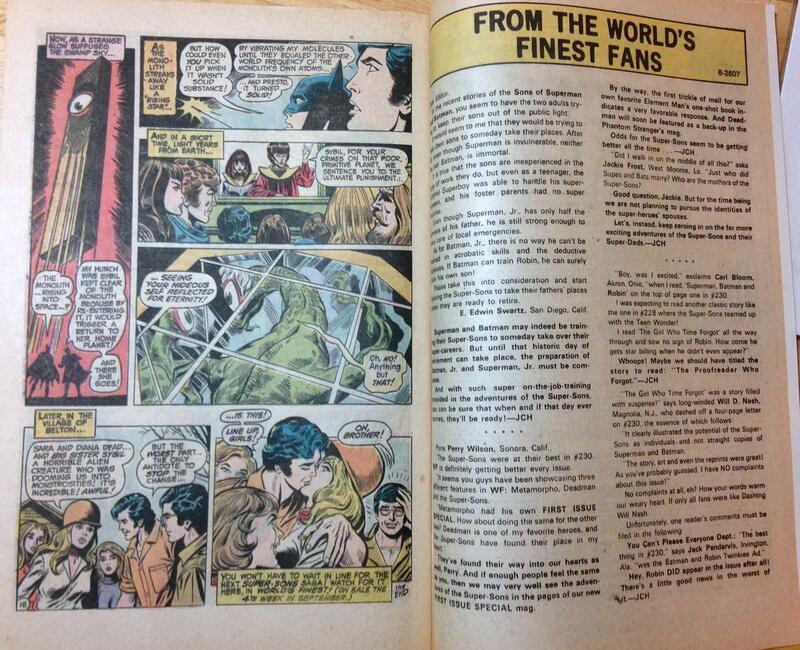 Last time, we found this copy of World’s Finest #146. True, the science is completely goofy and the writing aims at a younger audience. 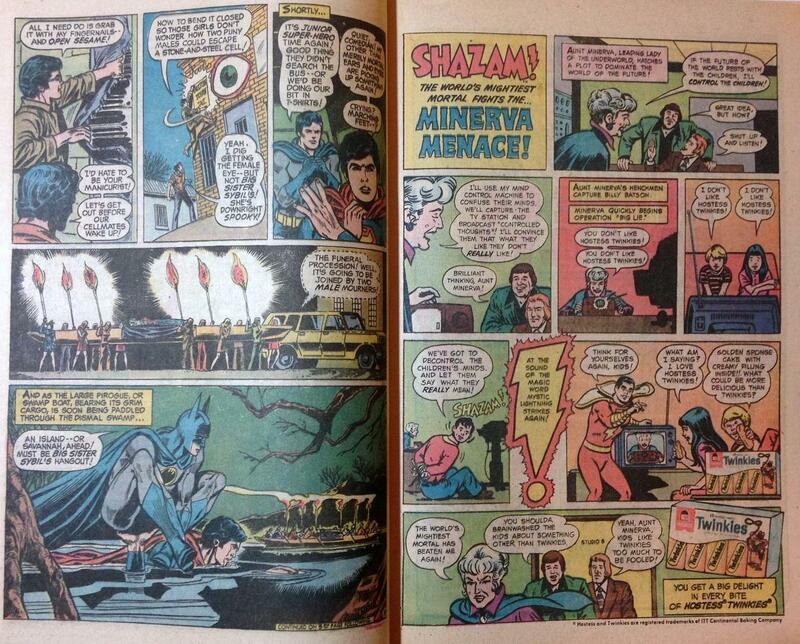 But, this is one of those gems we read as youngsters in the amazing comic book stash in Gramma’s garage. If we haven’t bored you with that memoir before, jump over to our other favorite issue of World’s Finest: World’s Finest #147. Even if you’re not a big Silver Age fan, we encourage you to check out this story. You may never think of Krypton in the same way ever again! – From World’s Finest #146; DC Comics, 1964. 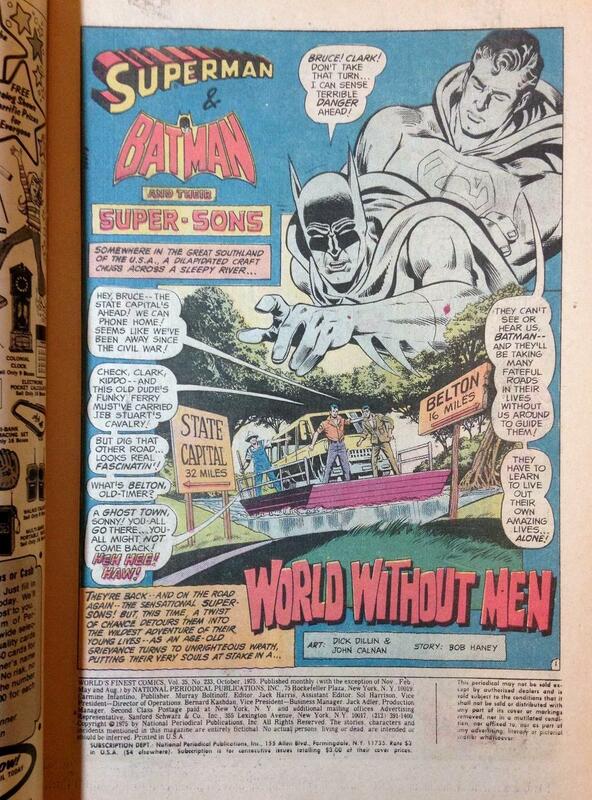 – Reprinted in Superman in the Sixties TPB. 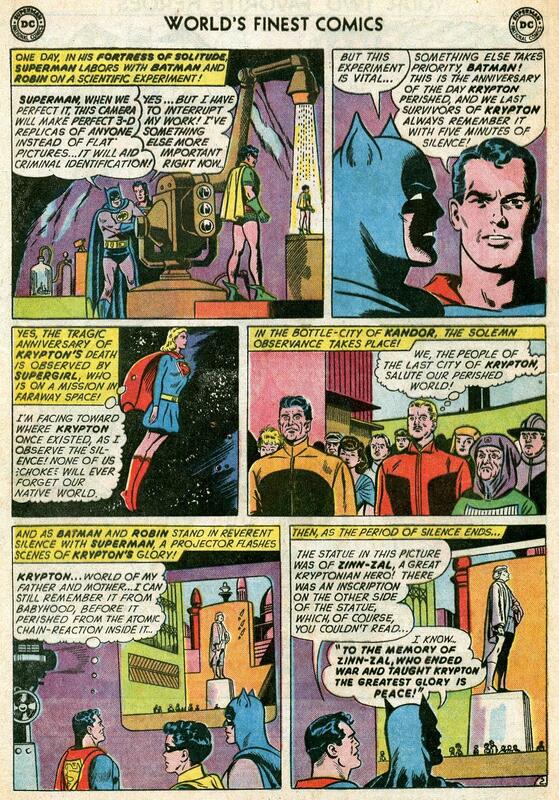 Script by Edmond Hamilton, pencils by Curt Swan, inks by Sheldon Moldoff. 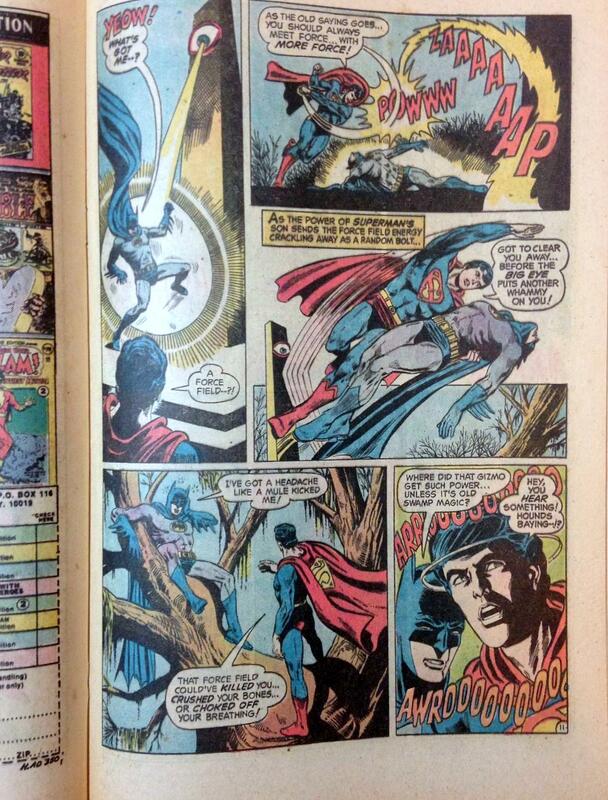 This issue also includes a Superboy story. 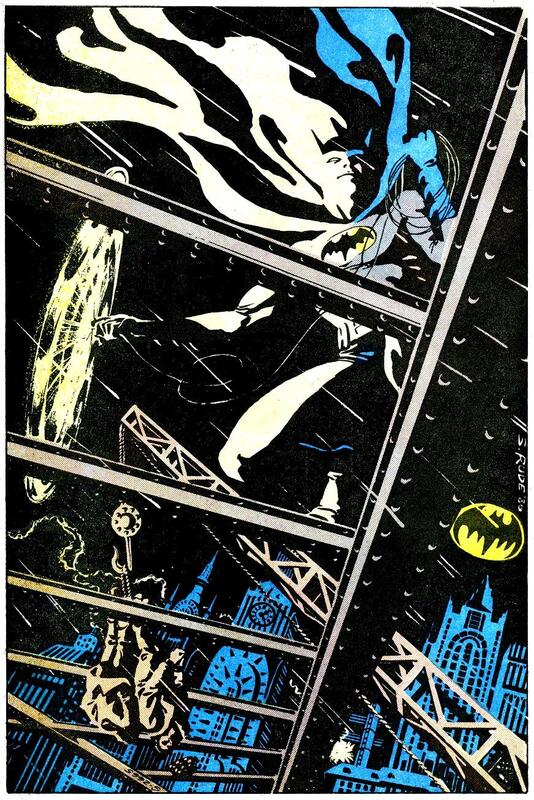 Here’s one from The Rude Dude archives: a rendering of the Batman from Batman #400, a star-studded Anniversary issue. 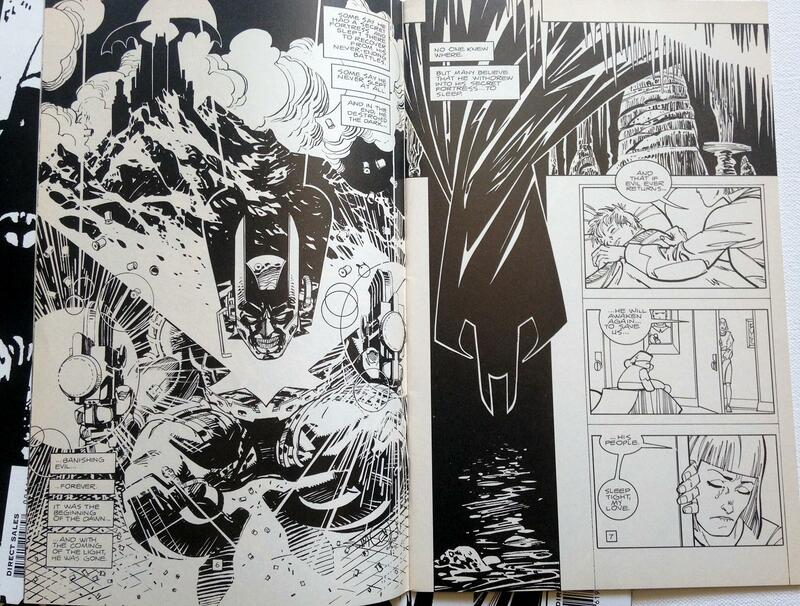 Unless you’ve been killed by demons from the planet Gandarva, you know Steve Rude is taking commissions for one-of-a-kind drawings of the character of your choice. You buy a raffle ticket for $5 at SteveRudeArt.com – or buy as many tickets as you want to increase your chance of winning. 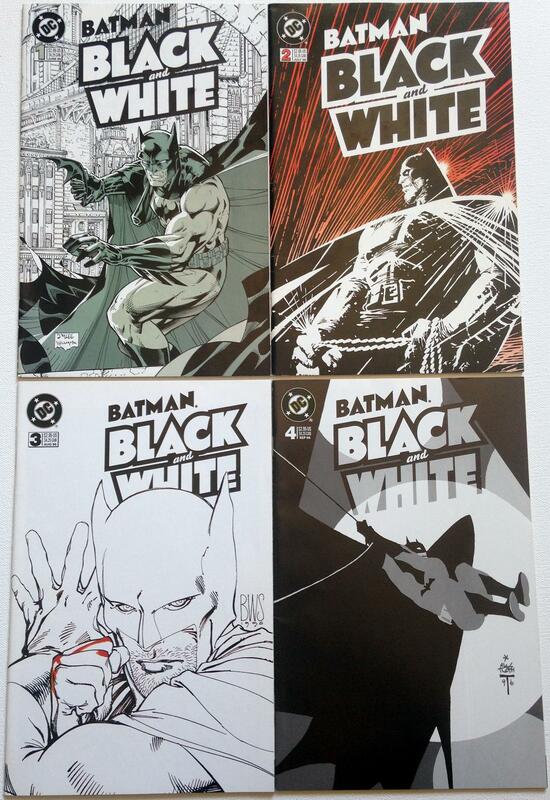 It’s a good deal for a black and white original by The Dude! I’m in! Are you? If he sells 55 more tix, he’ll color the piece, too! So head on over to SteveRudeArt.com and show your love.